Manuscript items in the collections are powerful evidence of the debates, doctrines and dissent that have shaped Scottish church history. 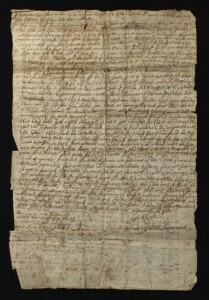 This manuscript letter was written by James Renwick (1662-1688) ‘Scotland’s Last Martyr’. The first New College librarians were very conscious of the need to preserve a record of the more recent history of the Church in Scotland, reflected in the very substantial collections of pamphlets we have today. 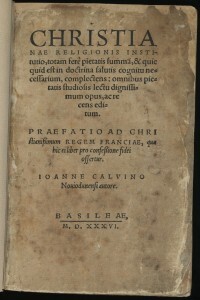 These flimsy publications were bound together to gather up the threads of religious and political argument, from seventeenth century controversies to the present day. 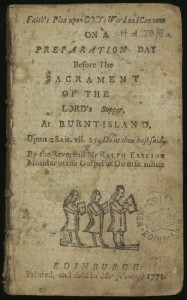 As an example we chose this rare example of a Communion sermon by Ralph Erskine (1685-1752). 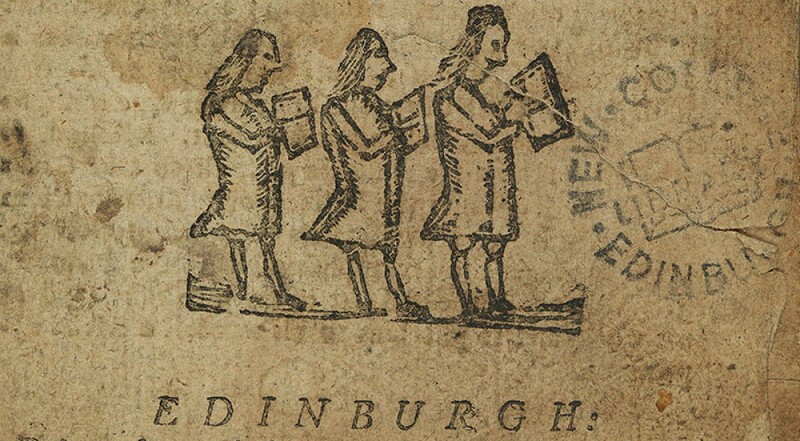 Eighteenth-century issues of church government and patronage prompted the foundation of several breakaway churches in Scotland, such as the Secession Church led by Ebenezer (1680-1754) and Ralph Erskine (1685-1752), who have many publications preserved at New College Library. The heartfelt conviction that only Christ was King which set believers in conflict with church and state in the seventeenth and eighteenth centuries also fuelled the birth of the Free Church of Scotland in 1843, which aimed to be free from state connection and acknowledge only the headship of Christ. When the volume below was published the foundation of the new Free Church would have been a recent memory to its readers. 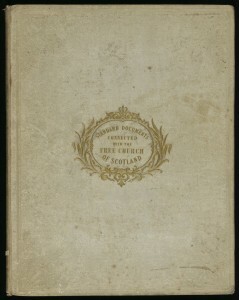 While these documents recording the establishment of the Free Church of Scotland were published elsewhere, this particular edition is believed to be unique. This entry was posted in Library and tagged Church of Scotland, ecclesiastical history, Funk, new college library, rare books, Special Collections by cloverodgers. Bookmark the permalink.